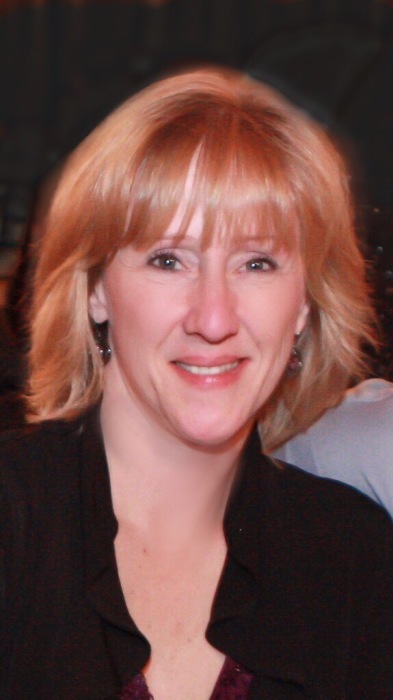 Laura R. (Pease) Morrisino, 50, of East Longmeadow, MA, passed away Friday, September 7, 2018 surrounded by the love of family, after a 13 year battle with brain cancer. Laura was born September 25, 1967 to Clayton A. Pease and Janice (Kimmer) Pease Dunn. She was an ELHS Graduate of 1985 and will be missed dearly by friends at NAGE-IBPO, where she was an Administrative Assistant for many years. She was an amazing and loving woman who made a lasting impact on the lives of so many people. Laura was a devoted Mom, Wife, Sister, Daughter, Auntie, Granddaughter, Niece and Friend. She treasured her family and friends. They hold her dearly in their hearts; her loving Husband of 27 years, Paul A. Morrisino of East Longmeadow MA; caring and devoted Son, Paul A. Morrisino Jr of East Longmeadow MA; Mother, Janice (Kimmer) Dunn of South Carolina; Father, Clayton A. Pease and Stepmother, Carolyn and Family of Holyoke, MA; Stepfather, Richard E. Dunn of Georgia; Grandparents, Elinor (Harrison) Kimmer and the late George E. Kimmer Sr of South Carolina; Goddaughter and Niece, Jessica L. Murray of East Longmeadow MA; Sister, Lynn (Pease) Paquette and Husband, Daniel of East Longmeadow MA; Stepsister, Shari (Brodeur) Jarrell and Family of Westfield, MA; Stepbrother, Retired Lt. Col John B. Brodeur and Family of NV and many special aunts, uncles, cousins, nieces and nephews. She was predeceased by Stepmom, Claire (Degon) Pease of Springfield MA; Grandparents Holton S. and Madella (Stacy) Pease. Fondest memories of family gatherings, laughter, Pauly’s baseball games, trips to the Maine Shore and Myrtle Beach, hikes, gardening, visits to Hidden Hollow to care for her friend Jack, horseback riding, Jess’s horse shows and campfires in Otis filled her heart and thoughts as she peacefully slipped away, if only for now. Until we see you again, sweet lady, “Be Good, Be Safe”. All Services are private and have been entrusted to Lombard Funeral Home of Monson. Memorial contributions may be made to St Jude Children’s Hospital, PO Box 1000, Dept. 142, Memphis TN 38148-0142, and Dakin Humane Society Attn. Memorials, PO BOX 6307 Springfield MA 01101-6307 .